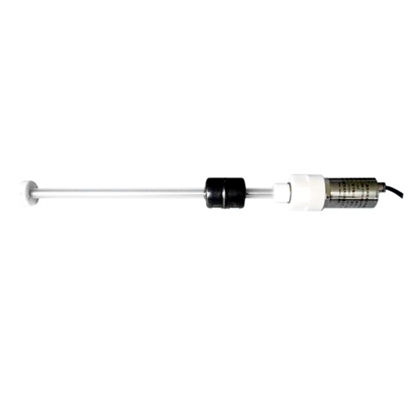 Non contact fuel level sensor for oil tank, high precision, no temperature drift, anti-jamming performance, long life, high temperature resistance, corrosion resistance, high pressure resistant. 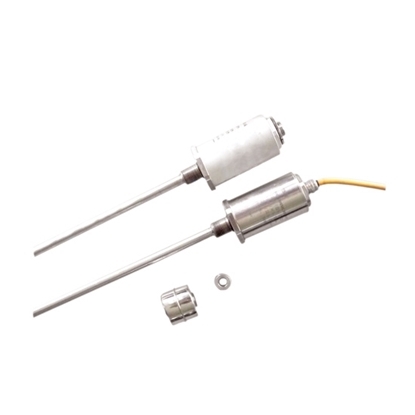 Magnetostrictive level sensor for valve, high precision, no temperature drift, anti-jamming performance, long life, high temperature resistance, corrosion resistance, high pressure resistant. 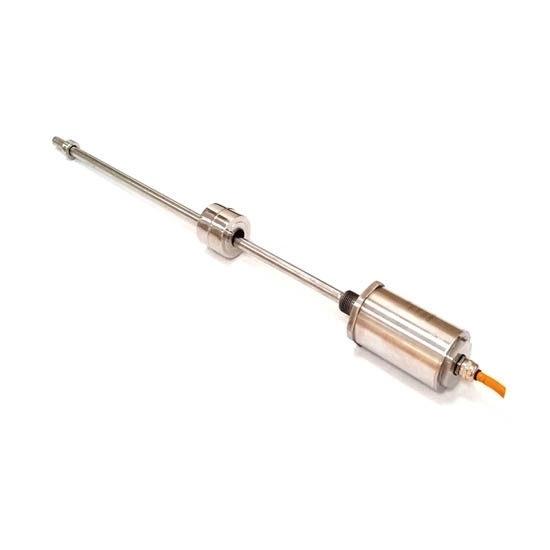 Magnetostrictive liquid level transducer for servo cylinder, high precision, no temperature drift, anti-jamming performance, long life, high temperature resistance, corrosion resistance, high pressure resistant. Magnetostrictive level sensor for shoemaking machinery, high precision, no temperature drift, anti-jamming performance, long life, high temperature resistance, corrosion resistance, high pressure resistant. 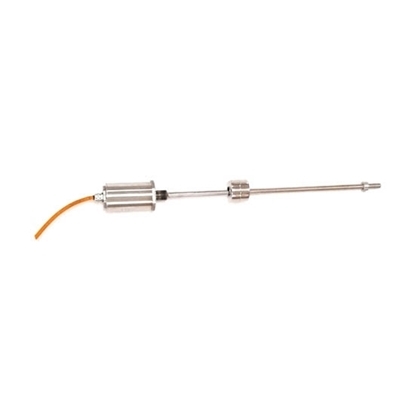 Magnetostrictive liquid level sensor for injection machine, high precision, no temperature drift, anti-jamming performance, long life, high temperature resistance, corrosion resistance, high pressure resistant. Magnetostrictive level sensor with measuring range 50mm is used for the liquid level preset and feedback, such as the liquid level of oil tank. Magnetostrictive sensors also can be used in most industrial automation systems. The sensor position output is relative to an absolute (fixed) reference point. The sensor no need to reset necessarily after power restoration in case of power failure. Unlike general incremental sensors (e.g. : incremental encoder and grating scale), the system should be reset after outage to continue measurement. Rated measuring range indicates the detection area practically available for the sensor, and it is definitely marked on order number. The rated detection length is certainly shorter than the total length of the sensor due to the existence of measuring blind zone at head and terminal end.